Beginning with today’s agenda, it includes major news, such as the monthly Japanese Retail Trade s.a. (Previous: -1.0%, Forecast: 0.4%) and Japanese Retailers’ Sales (Previous: -0.7%). 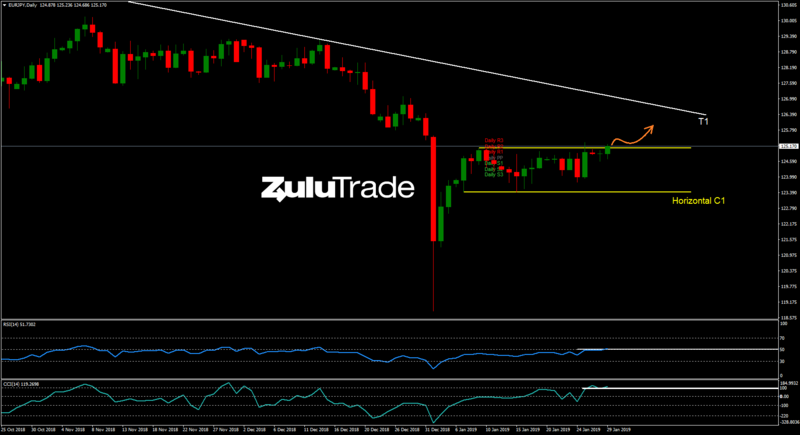 Reviewing the daily chart, EURJPY has been consolidating within the horizontal channel (C1), while it is currently breaking the upper side of the channel to the upside. Additionally, RSI is breaking out above the basis line. On the other side, CCI retraced back to 100 and it is currently bouncing from this major level. Overall, the setup may indicate a bullish movement towards the trendline (T1), offering a potential buying opportunity to the Bulls. On the other hand, if price violates the Pivot Point to the downside, then the Sellers may take the control of the pair targeting the low side of the channel.